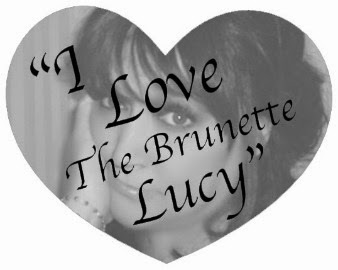 Tamara Kells - The Brunette Lucy: The Age of (too much) Information! The Age of (too much) Information! Here's my latest for AOL's Patch! Still thinking about finishing the book; but it's more work and I'm lazy. I love the show, “House Hunters” on HGTV. I get a kick out of seeing the insides of homes, getting decorating ideas, etc. But I just watched one that blew me away. There was, & I’m REALLY not kidding here, folks, a telephone in the bathroom – by the toilet. Now, I don’t know about you, but how disturbing would it be if during a conversation, you heard a flushing sound? I guess it would make an undeniable point; eww. It got me thinking, though, about how we live in a (too much) information age. We have to be able to reach out & touch each other, no matter where we are. And, as evidenced by the toilet phone, no matter what we’re doing. Everywhere you go, folks are carrying cell phones. I was in a deli once and saw a woman telling the clerk (who had other customers, including me, standing in line) to wait a second so she could take a call. If she had been in the process of brokering peace in the Middle East, I could understand. Instead, she answered with, “I’m not doing anything; what are you doing?” Maybe it’s me, but that hardly seems like a reason to ignore a person who’s handling your food. I’m willing to bet that the deli clerk agreed with me and probably had visions of launching some cold cuts at her. I’m not saying that cell phones are bad; I have a Blackberry with a cute Barbie pink silicone housing. I spent more time coming up with a nickname for it than I did naming one of my kids. The fact of the matter is that they come in handy. And as if I’m not already calling the kettle black, I have a land line, my cell, call waiting and an answering machine. Oh, and my car has Onstar, so it has its own phone and number. I can’t be incommunicado if I wanted to. Having them and knowing how to manage my communication devices is another matter entirely. I was on our land line talking to my best friend, Michele, when my cell phone rang; while trying to decide what to do, call waiting began to buzz in. I’ve never been this popular in my life. Of course, I was confused, and I’ve never gotten the knack of call waiting. I tried to put Michele on hold to answer the call; pushing random buttons in an attempt to figure out which one would put her on hold and let me talk to whoever was beeping in. While I was frantically trying to figure out how to see who was beeping in on our conversation, the cell kept ringing. I told who I thought was the person on the call waiting that I’d be right there, as I reached for it. Unfortunately, I had only recently bought the Blackberry, and I didn’t have my reading glasses on so I couldn’t see which button I should push to answer the call. I was pressing numbers faster than a frenzied accountant on a calculator at tax time. All the while, the Blackberry was playing Def Leppard’s “Hysteria”; the ring tone that I thought was so cute when I downloaded it. At the time, however, it was an accurate description of me. Finally, whoever was trying to call the cell gave up, or they went to voice mail. Since I have no idea how to retrieve my voice mail, that’s going to remain a mystery. I was just happy that Def Leppard had finally shut up. I got back on the landline, thinking that I was going to be talking to whoever had beeped in on Michele and me, only to find Michele laughing. Seriously, what were the odds that I hadn’t managed to put her on hold? Turns out, I’d pushed almost every button on the phone, but managed to dance all around the one that I needed. When Matt got home that night, I figured out who was beeping in. He wanted to know why I didn’t answer the land line; he’d let it ring twenty times. He thought I might have been in the bathroom. I asked what he was calling for, and he said he just wanted to know what I was doing. Visions of the lady at the deli counter went running through my head.